Coreless rolls are easy to handle and afford you flexibility in the way you distribute liners to your employees. 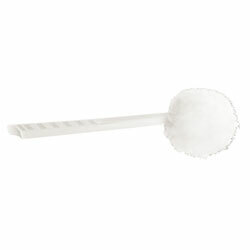 These small rolls are ideal for the healthcare and contract cleaning markets. 100% prime resins. When placed at bottom of receptacle, next liner automatically follows when full liner is removed. Small, compact rolls are easy to handle. Nyco Drain Solve Liquid Caustic Drain Opener - Qt.